Robots are entering our daily lives through retail stores, restaurants, shopping malls, airports, and hospitals. From service and "emotionally aware" robots to those designed to help people move or carry things, we follow robots in retail. Continuing rollout with HSBC Bank has social robot rubbing elbows with movie stars in Los Angeles area. 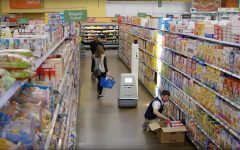 Most retailers acknowledge inventory accuracy issues, but cost and social concerns slow pace of robotics adoption. Maturing market for robotics provides 'significant business value' for adopters, research firm says. 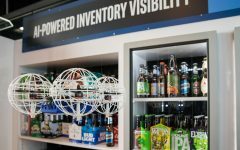 Austin, Texas-based firm raises $5M to expand retail inventory visibility platform. Facial recognition cameras are multiplying across the world. We look at the similarities and differences among five countries leading the way in use of the technology.